It is four months since I last checked the OFFICIAL USA temperature figures and now the official January temperature figures are out. 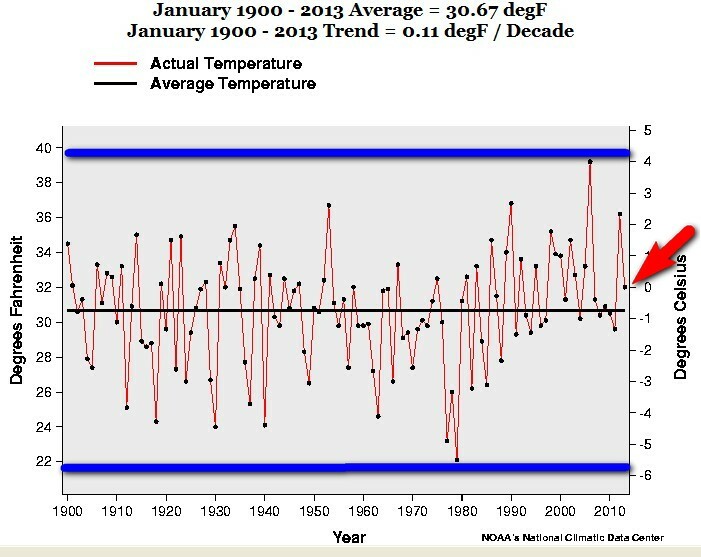 So the “warming trend” 2000-2013 for January is exactly – 0.94 F degrees a decade. That is a – 9.4 F COOLER in 100 years. That’s what I call “warming”! 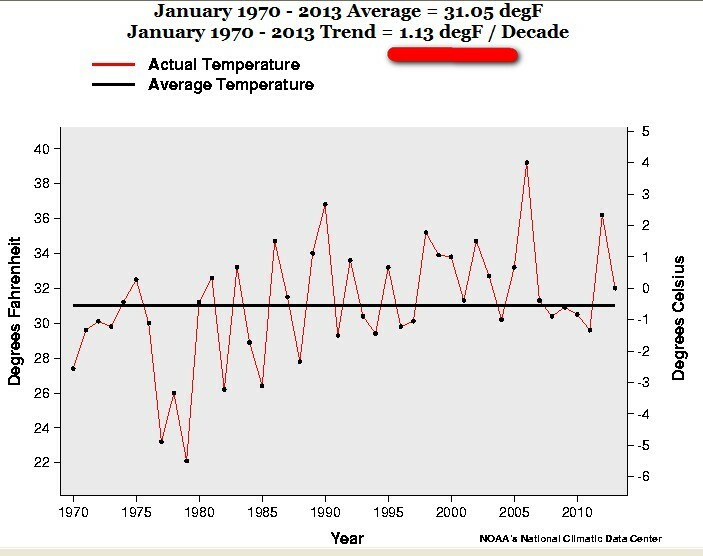 The January trend 1970-2013 is exactly 1.13 F degrees a decade. 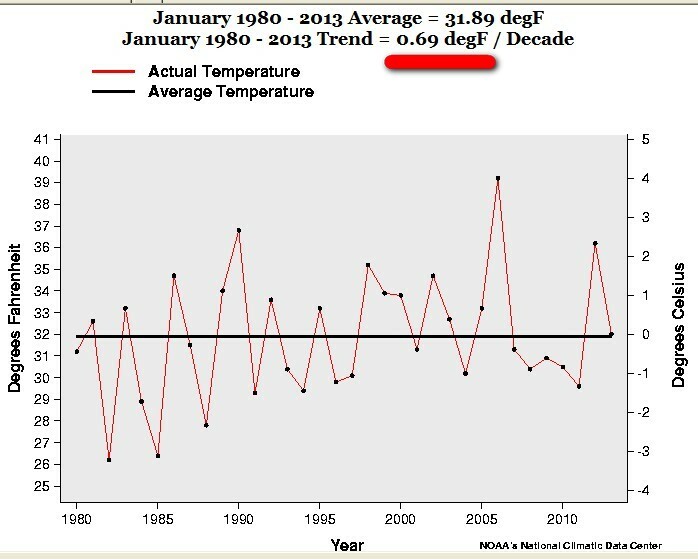 The January trend 1980-2013 is exactly 0.69 F degrees a decade. 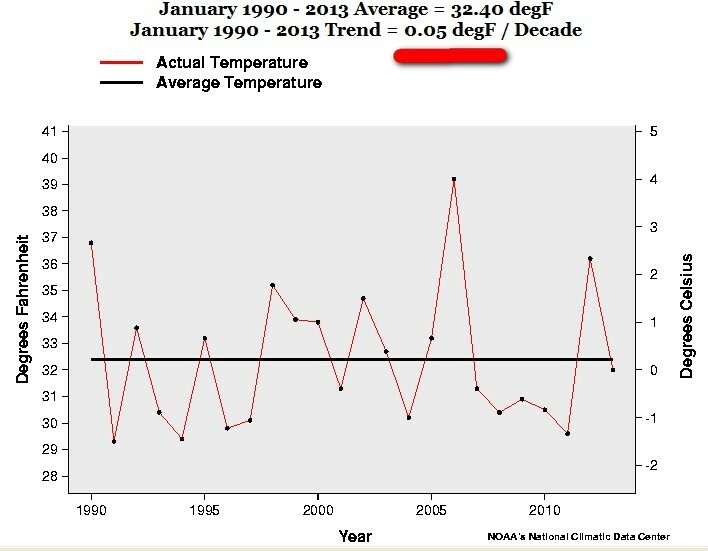 The January trend 1990-2013 is exactly 0.05 F degrees a decade. 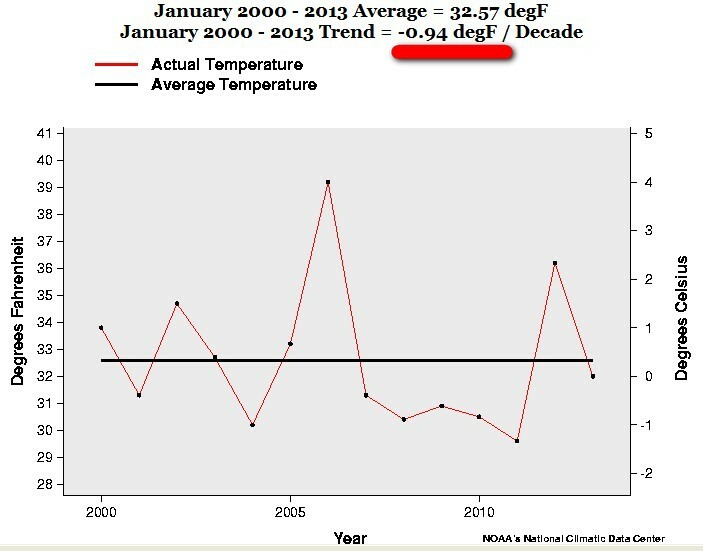 The January trend 2000-2013 is exactly – 0.94 F degrees a decade. This entry was posted on 15 februari, 2013 at 10:53 e m and is filed under Fri- och rättigheter, Miljö - Environment, US Temperature, USA, Yttrandefrihet. You can follow any responses to this entry through the RSS 2.0 feed. You can leave a response, or trackback from your own site. Wonderful, what a blog it is! This website gives valuable facts to us, keep it up.